When tuned, your piano will be a joy to play. Even your children will want to get on it! Take the guesswork out of buying a piano! Call WestEnd to visit and give you a written report on the piano's condition. Pitch drops as the piano passes through the seasons without being tuned. When the strings are up to pitch and tight, the tone is noticeably brighter and more pleasant. 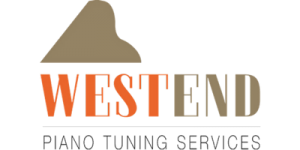 Often simple adustments and repairs will be made at no cost during a tuning service.